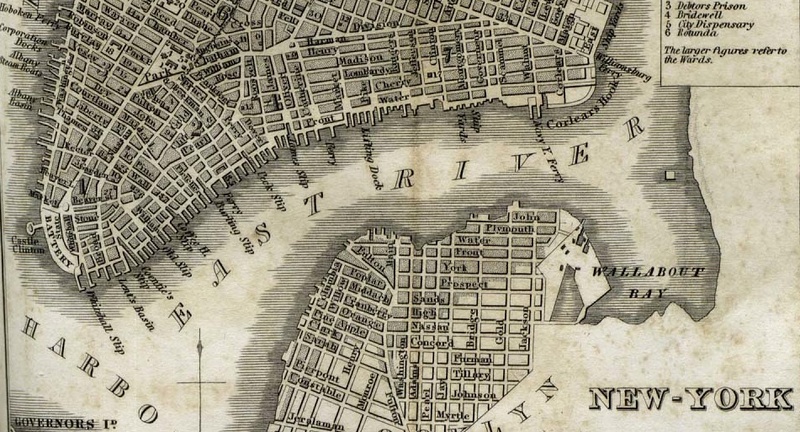 Old maps of Lower Manhattan (like the one below, from 1842) list them: the many slips created along the East River to facilitate ship transportation in a city dependent on maritime trade. Today, some exist in name only. 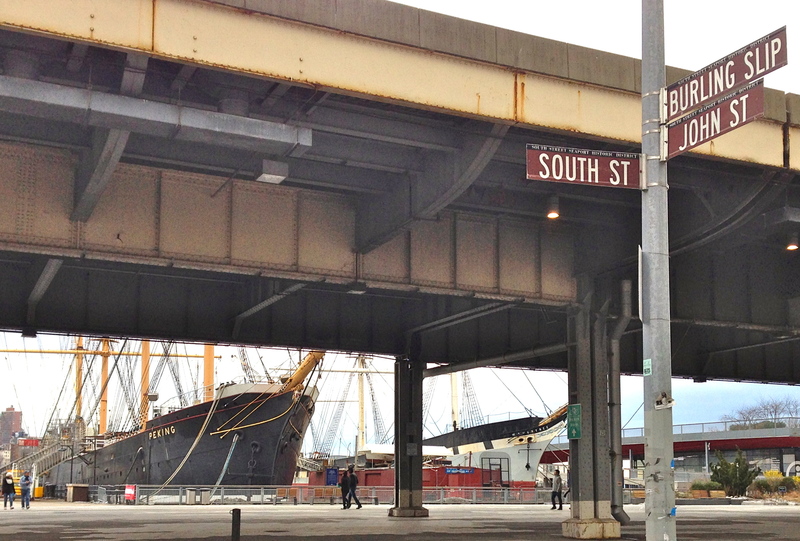 Eleven were gone by the middle of the 19th century, early victims of the city’s valuable real estate. The last one disappeared by 1900. 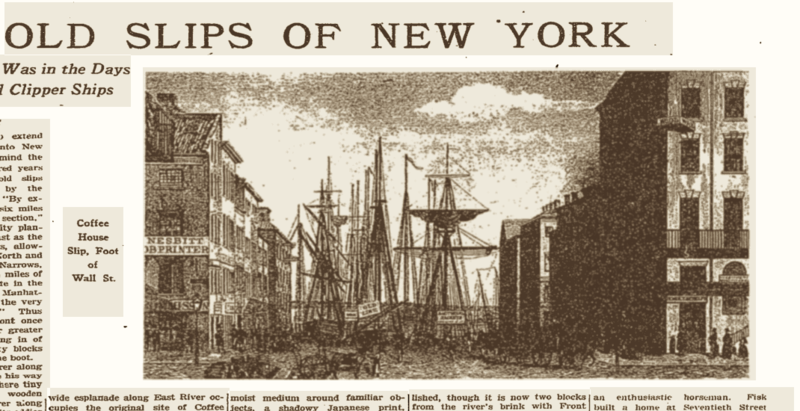 “It was the need for additional land that caused the passing of New York’s historic slips,” states a 1924 New York Times article. What wonderful names they had! Some were derived from prominent Dutch-born landowners, like Coenradt and Antjie Ten Eyck (Coentje—later Coenties—Slip). 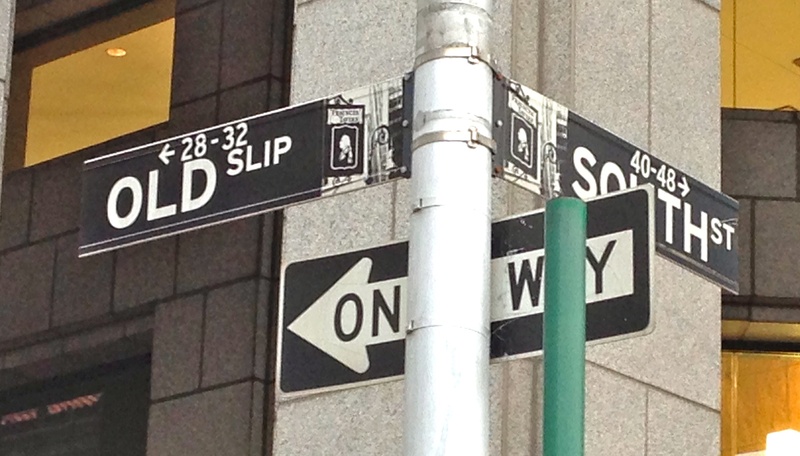 Others were named for the businesses nearby, like Coffee House Slip, once at the end of Wall Street where several coffee houses had popped up in the late 18th century (above, in a New York Times sketch). There was also Fly Market Slip, a corruption of the Dutch vly, meaning valley, according to oldstreets.com. 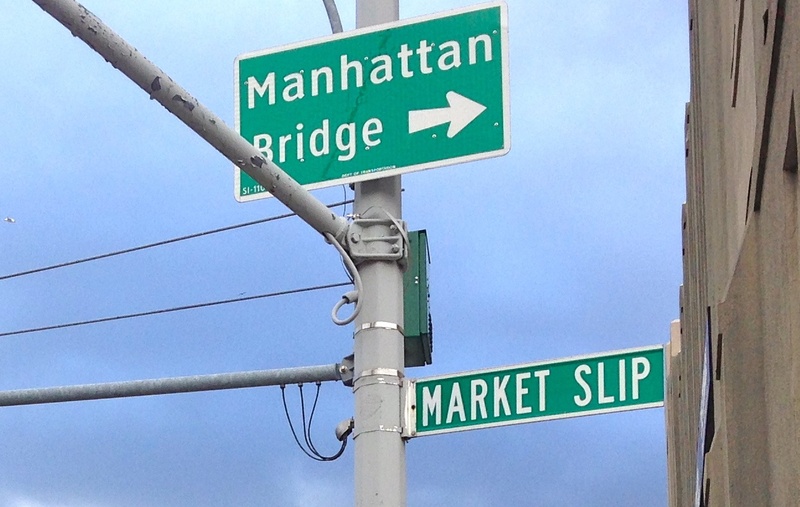 The rest were Gouverneur, Rutgers, Pike, Market, Catherine, James, Peck, Burling, and finally, Old Slip.